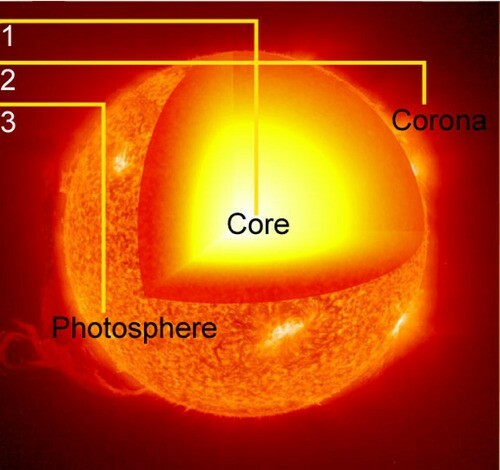 The core is the powerhouse of the sun and is where nuclear fusion occurs letting tons energy out, by making helium atoms by fusing two hydrogen together. 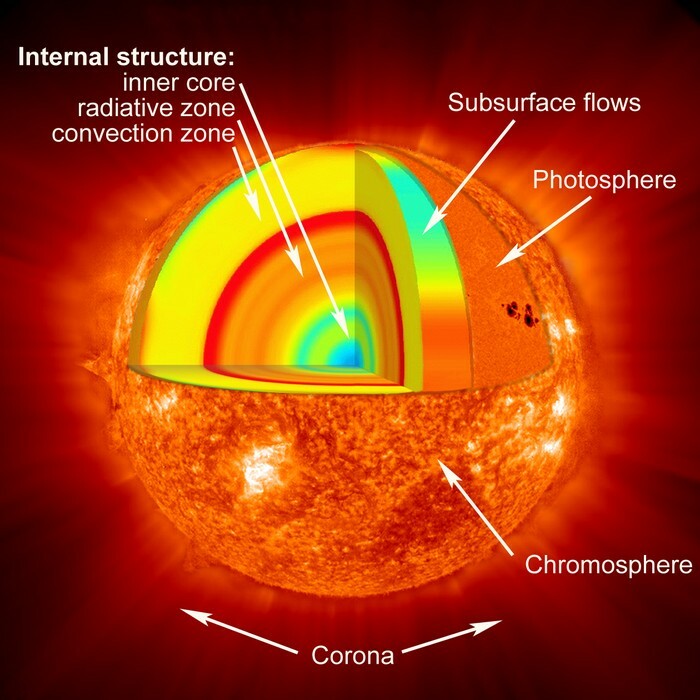 This is between the core and convective zone of the sun and is where the energy from the core is conveyed outwards as electromagnetic rays. 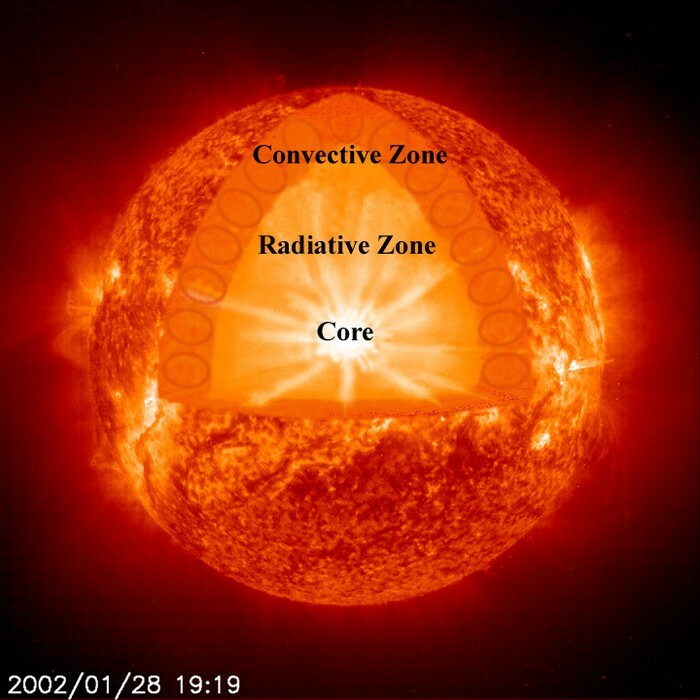 This layer that comes after the radiative zone isn't dense enough to transport energy through radiation. 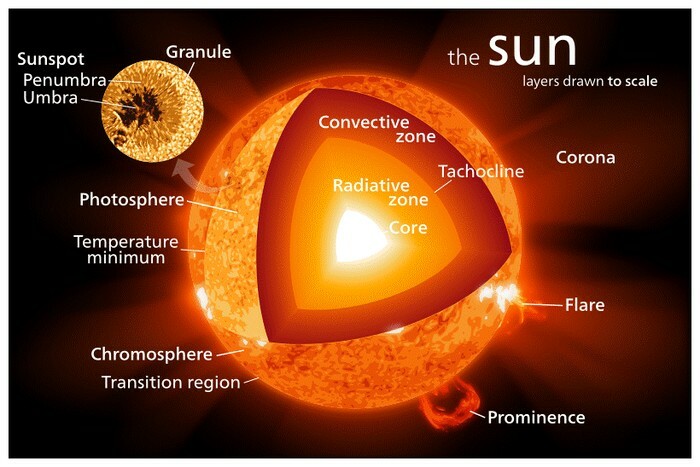 So in this layer it uses convection instead, the surface o this layer is where light energy is made. This layer is irregular and emits a reddish color because at the tempurature it is at hydrogen gives off light that is reddish in color. The tempurature here increases as height does, this layer is found in the outer layers of the sun. 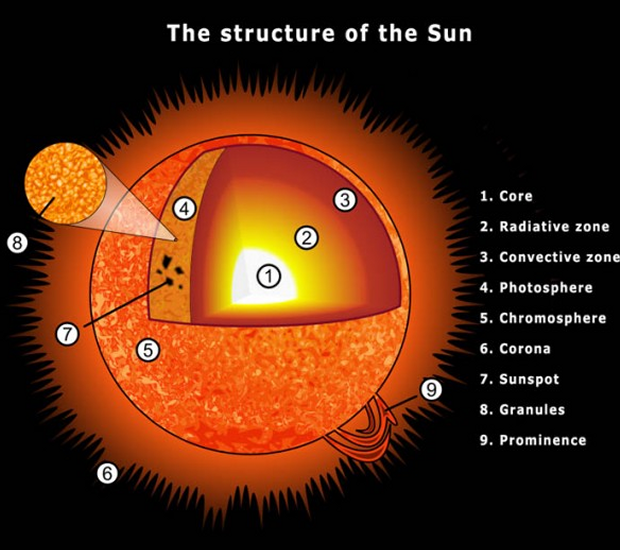 Corona means crown and is the last "layer" of the sun. 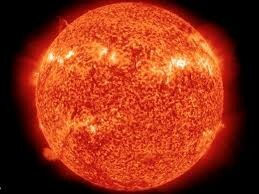 It is a aura of plasma that surrounds the sun, it extends millions of kilometers into the space around the sun. These ouccr on the surface or photosphere and apper because of diffences in tempreature. The real reason that they are darker is becasue the diffrence of temperature is shown by a cooler spot in relation to the hotter and brighter regions on the surface. These are large and bright gasous loops that come out of the photosphere, where it is attached, and extend into the corona. They are caused by carged plasma following magnetic feilds created in the convection currents of the sun but it can be pulled back and trapped by magnatic feilds giving the arch shape. 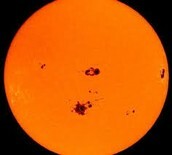 Solar flares are brief eruptions of high-energy radiation, and are caused by releases in plasma from the sun. 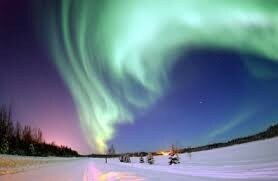 The beautiful Aurora Borealis is caused by Coronal Mass Ejections or (CME) where massive bursts of solar wind and magnetic feilds cause electrons to hit the upper atmosphere of the Earth.